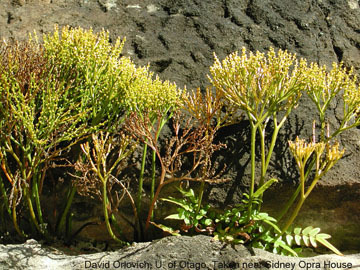 The whisk fern family (Psilotaceae) consists of two genera, Psilotum (photos left) and Temesipteris, neither of which appear in the fossil record. 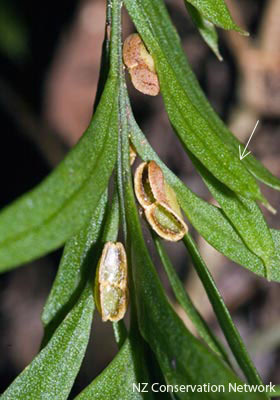 Therefore, the family Psilotaceae continues to perplex biologists who seek to understand the origin of these rootless and seedless vascular plants. 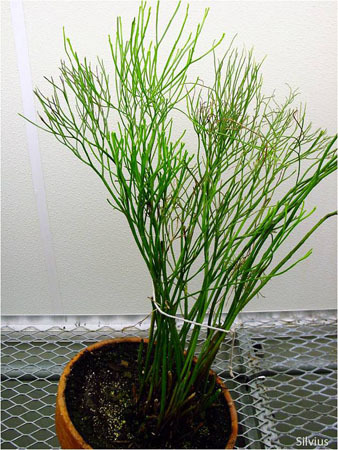 > Psilotum is a primitive survivor of the extinct, leafless, rootless rhyniophytes (Eames, 1936; and Gifford & Foster, 1989). 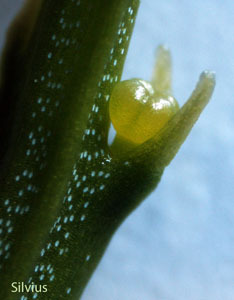 > Psilotum is a ‘fern’ similar to Stromatopteris based on the claim by Bierhorst (1977) that both have a unique, primitive shoot system. > Plant morphologists must begin with emphaisis on relationships at the organismic and organ levels to determine origins (Kaplan, 1977,2001). > Phenetic approaches can be used to determine dissimilarity (discontinuity) between taxa-- e.g. phenetic (or baraminological) distance (Robinson and Cavanaugh, 1998). 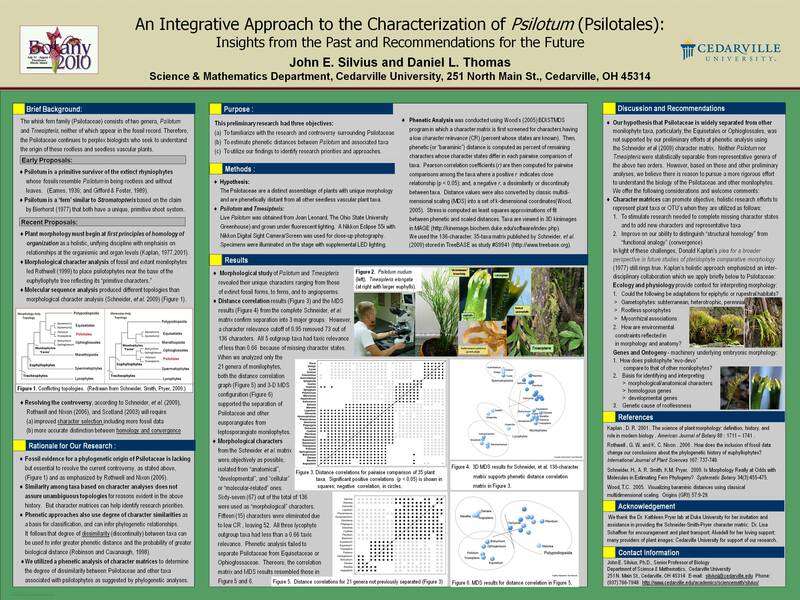 > We utilized a phenetic analysis of character matrices to determine the degree of dissimilarity between Psilotaceae and allegedly related taxa (Wood, 2005). 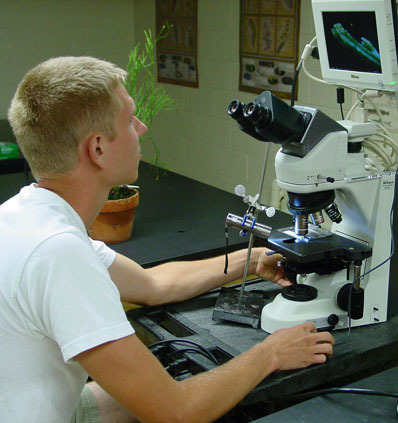 Daniel Thomas studies morphology of Psilotum nudum. YouTube Short Presentation at "Botany 2010"